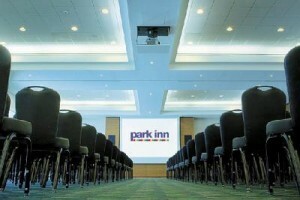 The Park Inn Heathrow boasts one of the most convenient locations for international conferencing in the UK. Just off the start of the M4 corridor and just a few easy minutes on the shuttle service away from Heathrow Airport’s terminals 1, 2 and 3, it is also a mere 20 minutes train ride from Central London. This modern, well-equipped and efficient 4* hotel is designed mainly for guests who are on business, and all of the 895 rooms are stylish and thoughtfully facilitated for clients who have travelled from overseas. With over 2000 sq.m. 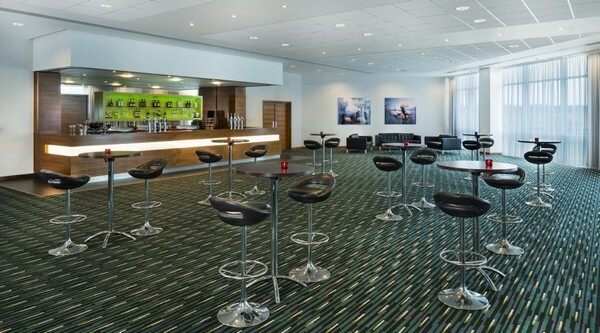 of adaptable and state-of-the-art meeting space, this corporate venue also offers a large on-site car park, two diverse and welcoming restaurants, and complimentary access to the professional fitness centre to all overnight guests. The meeting spaces here cover the entire ground floor, and are able to seat anywhere between 7 and 700 delegates. The fully adaptable event rooms are purpose-built to be flexible enough for all types of corporate events – often hosting large scale exhibitions, seminars, conferences and product launches. All of the meeting rooms come with an abundance of technology, and just about any bit of kit you’d ever need can be easily set up for your event. There are also lots of smaller, accessible meetings rooms that make perfect break-out spaces and syndicate rooms, and Function Fixers are able to advise on which of the rooms is best for you to book, based upon your individual requirements. Almost all of them have natural daylight, and all come fully equipped and ready for business, with lots of tailored additional support from the wonderfully-mannered and knowledgeable team of technicians and staff. The Park Inn is also able to host fantastic banquets, award ceremonies and dinner dances in this blank canvas space, making it the perfect place to entertain and accommodate international clients & colleagues. Catering is excellent, and the service is reliable and professional. Being a regular host to celebratory events mean this venue is practised in its trade, and has other events spaces available to hire for receptions. A residential convention can be arranged here for up to 500 delegates, which is a rare find in such an enviable location, so you must book this well in advance. However, it’s not all work and no play at The Park Inn. If you do fancy letting your hair down, the less formal of the two on-site restaurants offers up a fantastic 3-roast carvery buffet every evening. 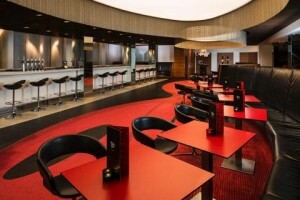 Then, the cocktail bar staff will start livening up the music and displaying some impressive mixology skills until 10pm. Once the evening gets going, this sound proofed room transforms into a trendy and chic nightclub – with music until midnight 6 days a week, and 3am on Friday nights. You won’t have to worry about anyone being woken up – privacy and tranquility were at the forefront of the design of the bedrooms here at The Park Inn, and all the doors and walls are built to guarantee a quiet night’s sleep. 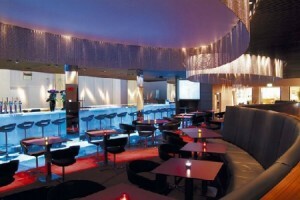 Function Fixers are able to organise large-scale conferences and corporate events on your behalf. We won’t charge you a penny for our services, and we will take the stress out of arranging your function. You can call us, or fill out our quick and simple online form!